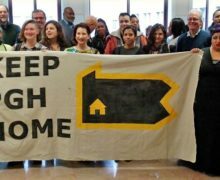 One year after unanimously passing an ordinance establishing the Housing Opportunity Fund, the Pittsburgh City Council made good on its pledge to dedicate $10 million annually to the fund. 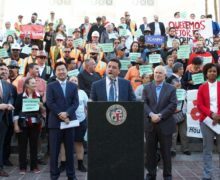 By a vote of 7-2, City Council approved a staggered increase to the realty transfer tax that will generate $10 million annually for the Housing Opportunity Fund by 2020. On February 1, 2018 the realty transfer tax will increase from 4 percent to 4.5 percent. In 2020, the tax will increase to 5%. To reach the $10 million annual goal in the interim, City Council will contribute other City revenues to the fund for 2018 and 2019. Building the will on Council to increase the realty transfer tax was a significant challenge. The 2016 report recommending the creation of the Housing Opportunity Fund (HOF) had identified the realty transfer tax increase as the most appropriate revenue source both because of the nexus between the tax and proposed use and because of the volume of revenue generated matched the HOF $10 million annual goal. Staunch opposition from the realtor association, however, prevented the realty transfer tax increase garnering the necessary support. So Pittsburgh United, along with allies from SEIU 32BJ, SEIU Healthcare PA, Pennsylvania Interfaith Impact Network, Regional Housing Legal Services, Northside Community Development Fund and Action United, went to work. 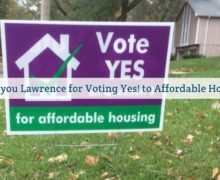 In summer 2016, they conducted a petition drive securing thousands of signatures supporting an increase to the RTT, including residents of every voting ward in the City – demonstrating wide spread community support for the tax increase and at the same time, developed a contact list of supporters. In the months that followed, the coalition built support for the HOF and for raising the realty transfer tax through community forums and meetings with Pittsburgh CDCs and community organizations, and convened an “implementation table” to encourage community organizations to identify potential HOF projects in their neighborhoods and to communicate that information to their council representatives. When Council enacted the HOF in December 2017, lack of consensus on the appropriate revenue source led to a compromise to move forward with the establishment of the HOF with an agreement to resolve the revenue question within the year. In July 2017 Pittsburgh Councilmen Ricky Burgess and R. Daniel Lavelle introduced an ordinance to commit a 1% increase to the realty transfer tax to the HOF, but the votes to move the ordinance through Council were not there. As Council deliberated the increase in the months that followed, the coalition of supporters turned up the volume on the need for the Council to take action. Utilizing the petition contact list, the implementation table, and their existing organizational contacts, the coalition mobilized people to attend and speak at council hearings and to conduct multiple meetings with every members of Council. Following a very strong showing at July and September hearings, Pittsburgh United launched Housing & Hoagies, a Facebook live talk show series that ran in October, highlighting the HOF revenue campaign and other housing justice efforts in Pittsburgh. Hosted by Deanna Garcia, a former reporter at 90.5 WESA, the show featured guests sharing their experiences related to the lack of affordable housing and guests engaged in current advocacy initiatives. When Council took up the realty transfer tax increase in earnest in December, it became clear that the unwavering pressure from the community and the strong leadership on Council would deliver the dedicated revenue promised for the HOF. City Council created the HOF to provide resources to help stabilize and improve Pittsburgh’s neighborhoods by supporting the development and preservation of affordable and accessible housing in areas with access to public transit, jobs, good schools, child care, grocery stores and other amenities. The HOF prioritizes communities experiencing rapid growth and escalating housing costs, as well as seniors, people with disabilities, and families with very low incomes. The HOF is structured to address Pittsburgh’s greatest unmet housing needs. Half of the fund is targeted to households at or below 30% AMI, a quarter to households at or below 50% AMI, and a quarter to provide or support homeownership for households at or below for 80% AMI. Funding awards are made through a competitive application process that will consider depth of affordability, length of affordability commitments, geographic distribution, historical disinvestment in the neighborhood where the project is located, affirmatively furthering fair housing, accessibility features, and energy efficiency. 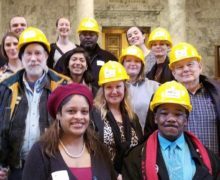 To insure the public investment over time, HOF prioritizes tenant purchase, community land trusts, shared-equity and deed restrictions that secure long term affordability. Even with the dedicated funding secured, Scott, Pittsburgh United and fellow HOF supporters continue their commitment to the HOF’s success. The advocates are coordinating a trip to Philadelphia to learn about the operations and accomplishments of Philadelphia Housing Trust Fund for a group of HOF stakeholders, including Councilperson Lavelle, city housing staff, CDCs, housing attorneys, immigrant and LGBTQIA organizations, and potentially members of the HOF oversight board. 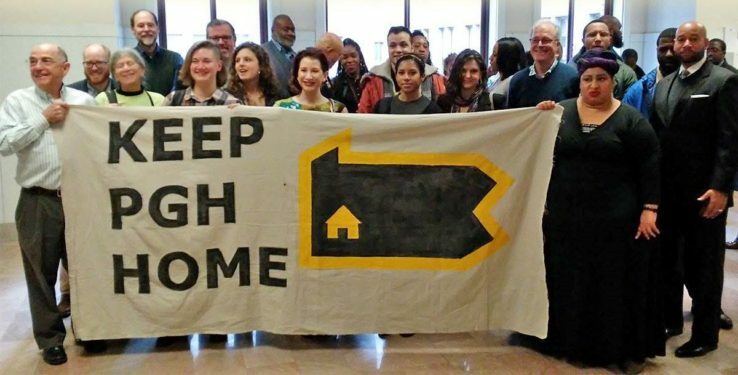 To learn more about the Pittsburgh Housing Opportunity Fund and the campaign to secure dedicate revenue, contact Celeste Scott at Pittsburgh United via email or 412-231-8648.